New in 2018, the Kids Zone is completely FREE!!! 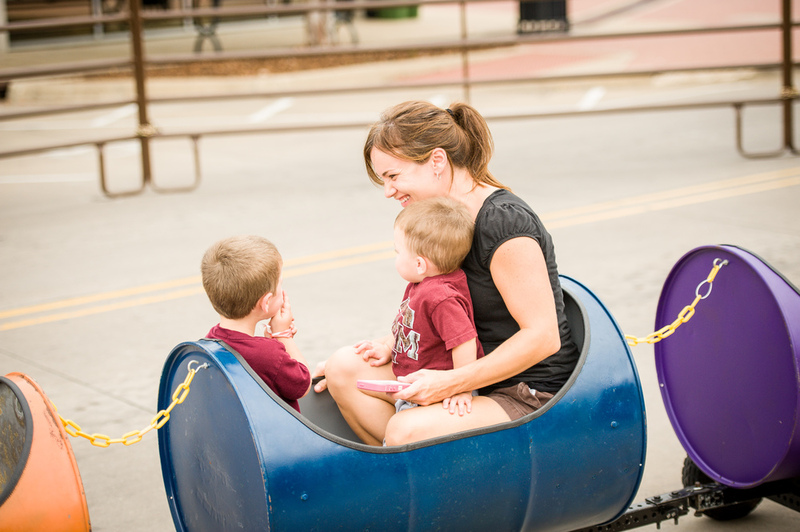 Your kiddos can hop around in inflatable bounce houses, make crazy fun art with the Purple Turtle Art Studio, and take a ride on Pawpaw’s Party Train. Delicious goodies such as corndogs and snow cones will keep tummies happy and full! Be sure to rest your feet at the Palace and enjoy lots of family-friendly entertainment on Saturday. 2019 Kids Zone Schedule will be released soon! Also in the Kids Zone this year, find art and craft projects sponsored by Purple Turtle Art Studio. Bounce Houses provided by Bounce House Rentals BCS. Come join Paw Paw in his authentic engineer outfit and ride a trackless train at Texas Reds!